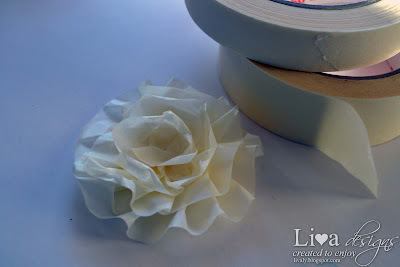 I wanted to share a tutorial that I had posted some time ago on Frosted Designs blog on how to make pretty flowers using just white masking tape. 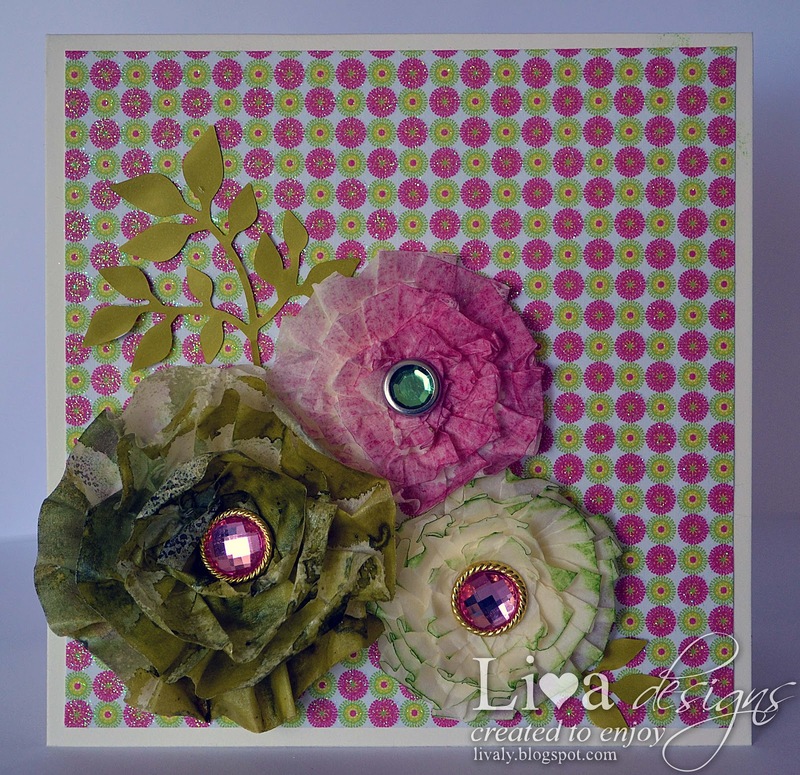 Above is a card that I made using my masking tape flowers. You can use these to also decorate any paper crafting projects as well as some home decor as well. All you need is a punched or cut circle from a cardstock or paper scrap and white masking tape (well you can also use the yellow or other color as well, but I will get to the part why I use white ones). 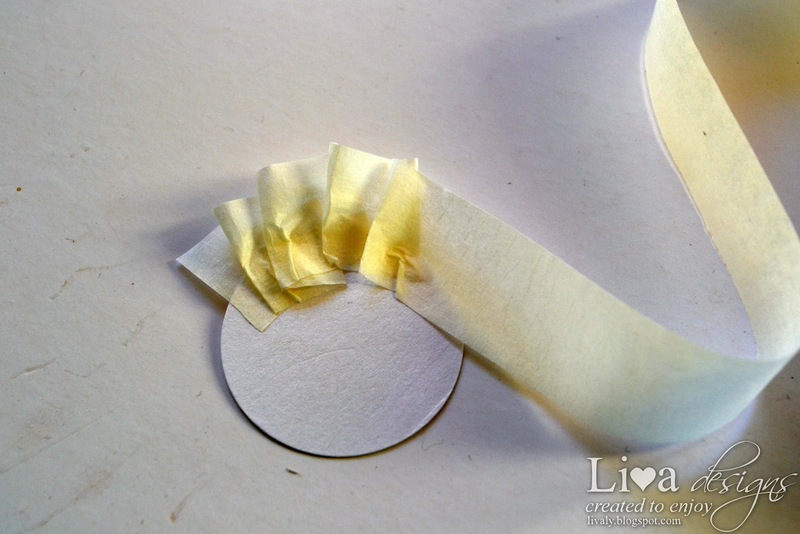 Just take the beginning of masking tape and start pleating it slightly overlapping the edge of your circle. When you have pleated tape all around, continue pleating it more towards the center of the circle. Do this till you've covered all your circle. 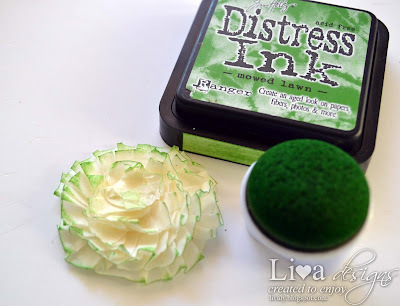 And here's why I use white masking tape - because you can apply almost any color medium to it and have flower that matches your project. In this case I used diluted ColorWash to spray my flower. Add a beautiful brad or button to the center of your flower. Then ruffle up all those tape layers to give more flower like look and it's ready. 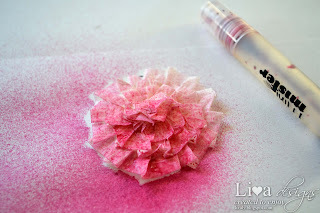 You can also use inks to add color just to the edges of your "petals". 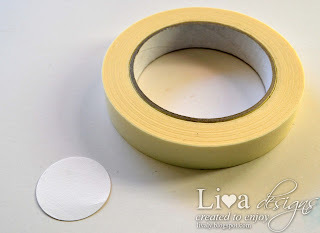 As masking tape comes in different widths, experiment with all of them. The ones that are wider will give you more larger and fluffier flowers. These are gorgeous Liva!! 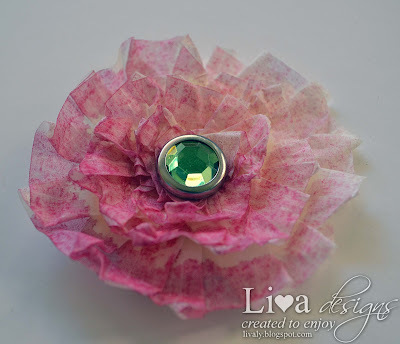 How creative and beautiful!! I'll have to give these a try!! Thanks for the tutorial!! WOW! 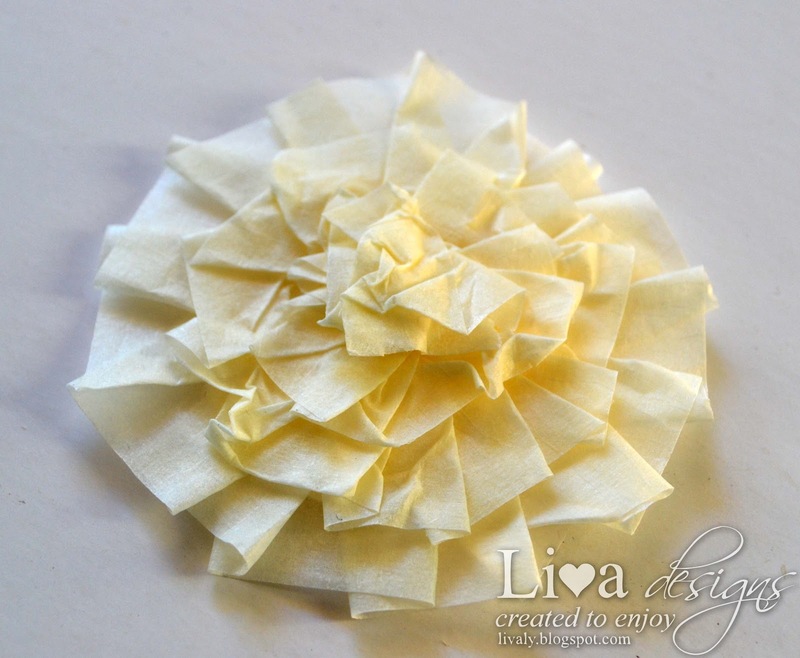 !For a second,I thought that they were made from paper.